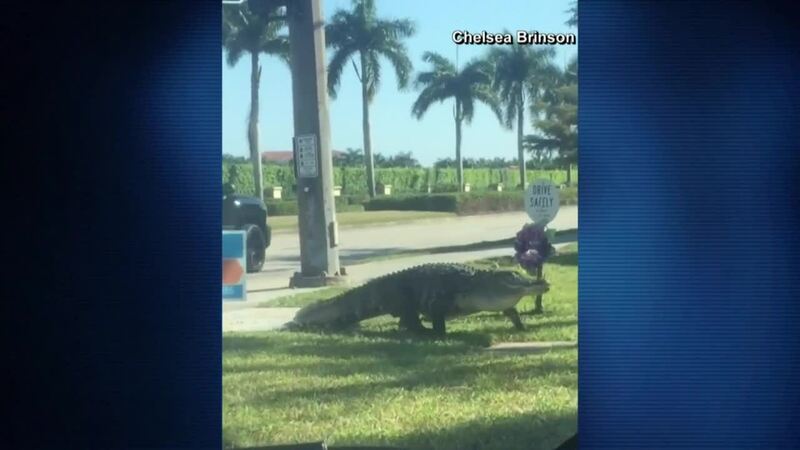 A massive alligator was seen roaming around near an intersection in Fort Myers on Friday. Chelsea Brinson recorded the big reptile walking along McGregor Boulevard near Pine Ridge Road. By the looks of it, the gator appeared to be at least 10 feet long and a couple of hundred pounds. Alligator mating season starts in May and lasts about a month. However, wildlife experts say alligators will roam around looking for a mate in the months leading up to the season.